A very accurate model of a Soviet SU-100 Tank Destroyer with a HIGHLY DETAILED INTERIOR. 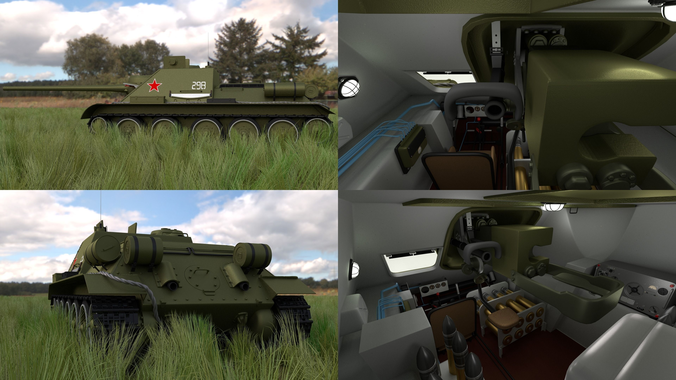 The model contains a highly detailed interior(controls, gauges, ammo, radio, main gun) fully modeled as seen in the images. This 3d model was originally created in Blender 2.76 and rendered with Cycles. The model has materials applied in all formats, and are ready to import and render. The model is built strictly out of quads and is subdivisable.